Available Colors: Black, Gold or Silver Frame, all with Black Lenses. Second Location: Laser Engraving Available: Add $0.50 per piece. Shipping Weight: Cello Bag, 250 per carton @ 28 lbs. Customized Aviator Sunglasses (Item #HT-6234) is Promotional with a Free Artwork Imprint. 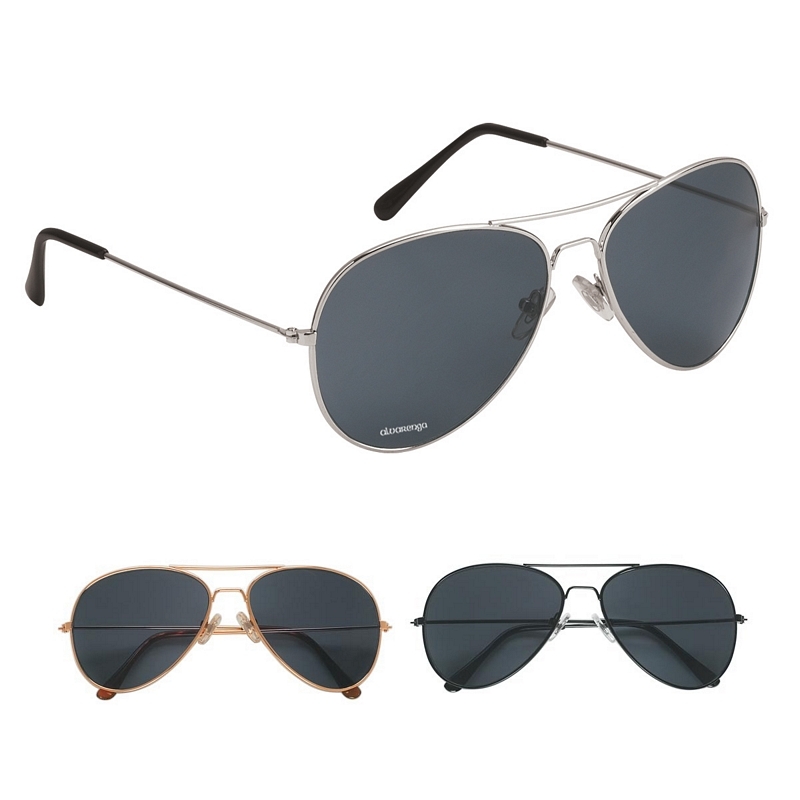 Promotional Sunglasses like our Personalized Aviator Sunglasses are decorated with your logo with no setup fees. 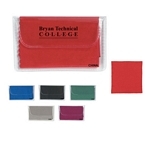 Customized Microfiber Cleaning Cloth In Case (Item #HT-6242) is Promotional with a Free Artwork Imprint. 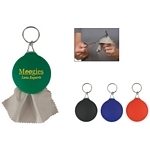 Promotional Sunglass Cleaners like our Personalized Microfiber Cleaning Cloth In Case are decorated with your logo with no setup fees. Customized Rubber Key Chain with Microfiber Cleaning Cloth Item #HT-6240 is Promotional with your business logo for advertising to clients. Customized Glasses Cleaners are decorated with No Setup Fees. 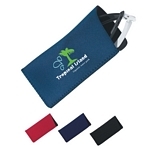 Customized Sunglasses Microfiber Pouch with Drawstring Item #HT-6243 (Minimum Order: 250). Promotional Customized Sunglass Accessories can be personalized with your business logo. 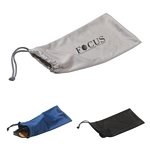 Our Promotional Sunglass Accessories are decorated with No Setup Fees. Customized Neoprene Eyeglass Sunglass Case Item #HT-6244 (Minimum Order: 100). Promotional Sunglasses Cases like the Neoprene Eyeglass Sunglass Case can be personalized with your business logo and with No Setup Fees.